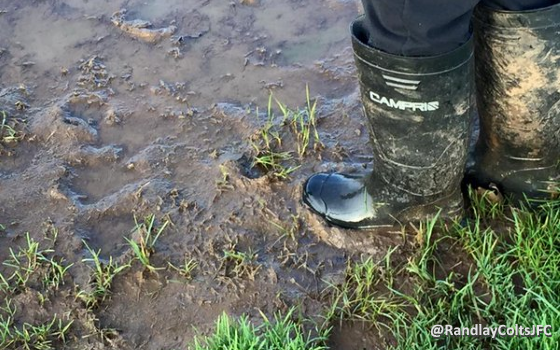 Nine out of 10 members of the grassroots football community have had fixtures cancelled due to the heavy winter rain, a Club Website poll can reveal. At least 86 percent of Club Website members have had one or more games cancelled, with many missing out on more games and some not playing at all for weeks. Seven out of 10 people have had at least three games cancelled due to the weather and almost half (47%) have missed out on five games or more - meaning no football at all for many since the start of December. What's more, as the poll ran from just 8-20 January, the results will be an underestimate of the winter washout, but the picture is fairly clear, even if the skies haven't been. December was the wettest month ever recorded in UK, with flooding in many counties prompting football's authorities to setup an emergency relief fund to help the worst-affected clubs and leagues in 10 counties in northern England. Not everyone has been so badly hit but, with local authorities up and down the country forced to call off matches for weeks on end, leagues are having to cope with an unprecedented backlog and some have decided to make radical changes. 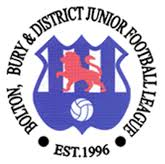 The Bolton, Bury and District Football League (BBDFL) is moving its junior football season from winter to summer to avoid the bad winter weather and provide better playing conditions for players. The league, which caters for 620 teams and 8,500 players from under-7s to under-21s, have lost 12 weeks of football to the winter weather this season alone. Member clubs were asked to vote on the proposal and a landslide mandate was provided. The new season structure will kick off in March 2017, with the season running until November, including a six week break for the school holidays. The league has encountered some opposition, notably from other sports, but BBDFL chairman Warren Barlow has invited those involved to get in touch to build a "mutual cooperation" and ensure long term benefits for all sports in the area. But this winter's washout means that something had to be done. "Doing nothing just isn't an option as we have a duty to our members to help provide them with the best possible conditions to play football," Barton told The Bolton News. "Bolton Council have confirmed that this season 10 weeks have been lost to the weather to date and it is highly likely that more weeks will go. "It would be unacceptable for any sport provider to continue like this, without exploring options to improve the situation for its participants." A Club Website poll in 2013 found opinion divided on summer football, with half of our members wanting to move kids' football to a summer season - including one third of all respondents wanting to move the whole grassroots calendar - whilst 26% wanted to see a winter break, with 23% not wanting to see any change. However, a recent simple 'yes or no' poll by the Save Grassroots Football campaign found 89% of respondents in favour of shifting the season, suggesting that an appetite for change may have grown across the country. So we've decided to re-open the debate and test the current mood of the grassroots community across the country. You can vote on our new poll on your club or league website - or here on our demo site - or just give us your thoughts in the comments section below. Our friends at Genesis Sports are also looking into the same issue and have setup a short survey on the subject - so please get involved with that as well. CW poll results: How many matches have you had called off due to the heavy rain so far this winter? New CW poll: Should the grassroots football season be changed to March - November to avoid the winter weather? Vote now on your club or league website, or here on our Parkside FC demo site.